So we’re finally at the final episode of the season! While I feel season five was uneven in terms of quality, I do think this episode did a good job of bringing everything together–while still causing me to scratch my head over some truly strange choices. But really, at this point, it wouldn’t be Vikings without me questioning the writing, now would it? 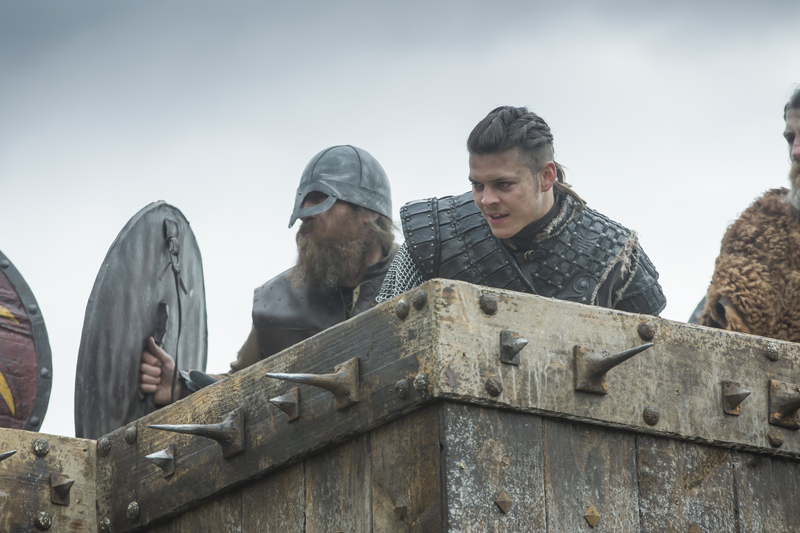 Most of this episode is devoted to the battle for Kattegat; we see Ivar working on some secret project to shore up the defenses of the town–a metal grate that I honestly don’t ever remember seeing later in the episode. Ivar laments that he must truly be the Chosen One now, as everyone is against him, but he did this to himself. 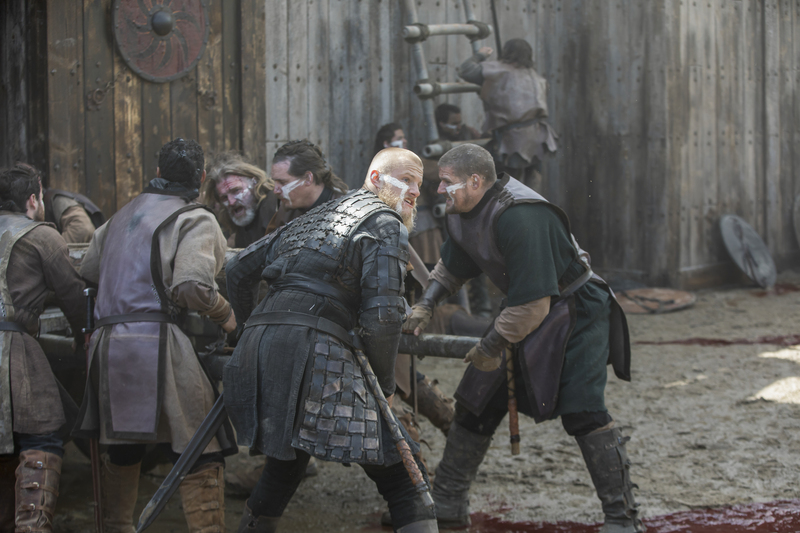 He does little but direct the battle in this episode and feel sorry for himself, which is a far cry from the active Ivar we saw earlier this season. I’m not sure why they’ve decided to keep him out of the fight, but I feel the episode is poorer for it. As Bjorn, Harald, and Hvitserk prepare for battle, we see the latter throw away his Buddha, seemingly having no use for it now–so I guess that plot line is over and done with? While originally I had hoped it would mean Hvitserk was going East, I guess it really was pointless. Around a fire, the entire group tells the tale of Ragnarok; it’s a great little character building scene, and the sort I’ve sorely missed on the show. We see Torvi and Lagertha on a boat, and while I initially thought they were heading to their farms by some river route I previously didn’t know about…there was something more confusing going on. More on that later. Lagertha has truly given into melancholy it seems, and tells Torvi that the only thing she learned while she was in the forest is, “Life is suffering, and there is no escape from it.” Given how her life’s gone, she’s not wrong, but it really is a less than positive message. 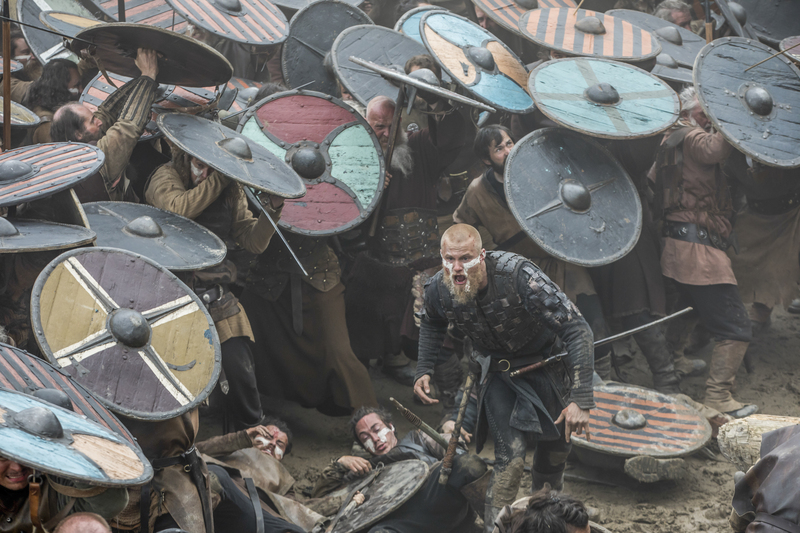 Once the assault starts on Kattegat, there are some pretty good scenes of siege fighting. While we’ve seen the use of battering rams and ladders in the battle of Paris, using long poles to push single warriors up the walls is a unique tactic, and one that I liked seeing. Despite having solid numbers, the first assault isn’t enough and Bjorn’s group has to fall back. The only ‘major’ fighter we lost was Magnus, but was he ever really a character? Real Ragnarson or not, we’ll never know now, I suppose. Forced to regroup, Bjorn’s army is at a loss on how to get inside Kattegat without being slaughtered–but luckily Freydis arrives to tell them about a new entrance into the town–one she’ll leave open for them. The death of her child, and Ivar’s hand in it, has left her more than willing to betray her husband. So as Bjorn’s army pours into Kattegat, swearing that he only wants to harm Ivar, not his own people, Ivar confronts Freydis about her betrayal. She doesn’t deny it, and while repeating over and over that he loves her…he strangles her to death. So goes another interesting female character. The rest of the fight is anti-climactic. 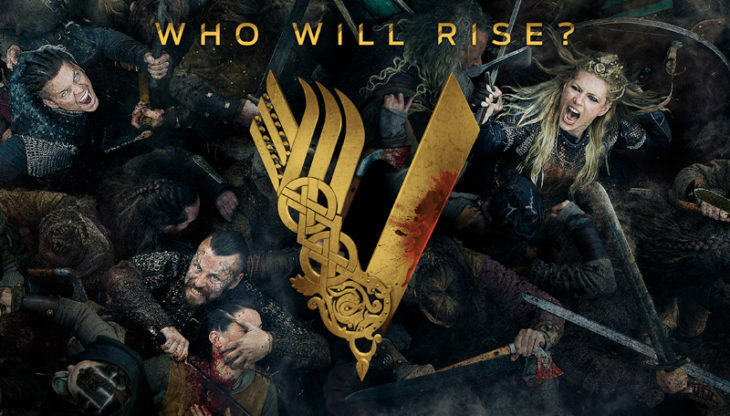 No big showdown between anyone, no one dies, and Ivar has disappeared to live another day. Bjorn is made king, and the strangest moment of them all is when Ubbe, Torvi, and Lagertha show up to bestow Bjorn with Ragnar’s sword. We end with Bjorn having a vision of his father and the seer, both telling him that seeking power just for power’s sake is dangerous…and that the battle is far from over. The season ended as it began: unevenly. While I’m looking forward to season six, I am glad that it will be the final one–the show needs to wrap up the stories. Hopefully in the end it will be able to become more focused and end on a high note. End on a high note? The show has long blown past any sense of real historical accuracy. I know the history but I stopped applying it to the show as the show isn’t following it any longer in any sense.